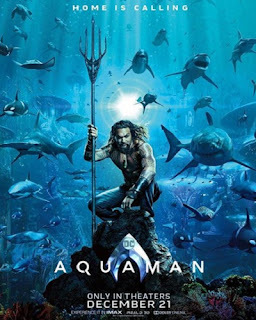 First appeared in Justice League film along with other superheroes, such as Batman, Superman, and Wonder Women, Aquaman gained enough attention. Well, he finally got his chance to play in his solo film titled Aquaman. This time, we will discuss more the Aquaman movie synopsis and official trailer just for the fans of comic films. Like the title said, the Aquaman movie synopsis and official trailer tell the story of Arthur Curry, the alter ego of Aquaman (played by Jason Momoa) in the aftermath of the Justice League where he tried to find his identity as king of Atlantis and ruler of the seven seas. But without realizing it, there is someone who wants to jeopardize his position. He was named Orm (played by Patrick Wilson). Orm is Aquaman's half-brother who is jealous of his brother who will be crowned king of all seas. What's exciting about Aquaman's film is that Aquaman's main villain turned out to be not just one, but two at a time. Not only Orm who wants to get rid of Aquaman from the throne of Atlantis, but there is someone else who want to overthrow him. The second villain in Aquaman movie named Black Manta (played by Yahya Abdul-Mateen II) who wants to avenge his revenge on Arthur Curry because his father was accidentally killed by Arthur Curry. As the name suggests, Black Manta will don the costume of a Black manta ray with the ability to control the fishes, just like what Aquaman does. This film was directed by James Wan. Yep, you read that right. The director of Conjuring will work on an Atlantis superhero film, accompanied by Will Beall as the scriptwriter. James Wan himself has promised a new approach to superhero films that are different from usual. He said that the reach of Aquaman's film would be broader, both from the arrangement of the universe, as well as its relationship with the film from another universe at DC Extended Universe. Even so, the story and characterization in it are said to be denser. Of course, this makes us cannot wait to see the end result of Aquaman movie synopsis and official trailer. The film also contains various big names like Amber Heard who has been present since the Justice League. Heard will play Queen Mera, ruler of all Atlantis. Then there is Willem Dafoe, who contrary to popular belief plays the protagonist in this film named Vulko. The next big name is Nicole Kidman. He will play Atlanta, the mother of Arthur Curry and Orm. Some of you might be surprised to hear the following name, but Dolph Lundgren was officially joined in the film. The action movie star will play King Nereus.